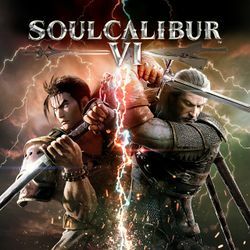 Soulcalibur VI is the seventh installment in Bandai Namco's Soul series of fighting games. The game is a continuity reboot of the series. While the previous title took place 17 years after the earlier games, this game returns to the time period of the early Soulcalibur games, with many characters from those games returning. The game was released in 2018 for the PlayStation 4, Xbox One, and Windows. The game's "Soul Chronicle" story mode retells the story of Soulcalibur I, with playable side-stories for each character. The game also has "Libra of Soul" mode, a story mode focusing on a customized character with more RPG-like elements.